(VEN) - The northern province of Quang Ninh climbed to top spot among localities nationwide on the Public Administrative Reform Index (PAR Index) 2017, as announced by the Government’s Central Steering Committee for Judicial Reform and the Ministry of Home Affairs on May 2. The index measures 19 ministries and government agencies, as well as 63 provincial and municipal People’s Committees based on administrative procedure reform, including the quality of civil servants and public employees and modernizing of administration. The PAR index for the 19 ministries and ministry-level agencies averaged 79.92 percent, with the State Bank of Vietnam achieving the highest score (92.36 percent), and the Committee for Ethnic Affairs the lowest (72.13 percent). Twelve ministries and organizations reached a 2017 PAR index of more than 80 points based on a 100-point scale – an improvement over the 2016 index, which ranked nine ministries above 80 points. The State Bank of Vietnam (SBV) took the lead for the third consecutive year. Then came the Ministry of Information and Communications, and the Ministries of Finance, Justice, Industry and Trade, Foreign Affairs, Agriculture and Rural Development, Science and Technology, Home Affairs, Natural Resources and Environment, Education and Training, and the Ministry of Labor, Invalids and Social Affairs. No ministry or sector received fewer than 70 points. 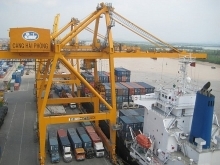 In the PAR rankings for provinces and centrally governed cities, the northern province of Quang Ninh led the pack with a score of 89.45, followed by Hanoi – the capital, Dong Nai Province, the city of Da Nang and the city of Hai Phong. The worst performer, Quang Ngai Province, achieved a score of 59.69. Speaking at the conference, Deputy Minister of Industry and Trade Tran Quoc Khanh said the ministry gives special priority to administrative reform and sets targets to simplify and minimize administrative procedures in order to serve people and organizations. The ministry has stepped up high-quality online public services to citizens and businesses, and set targets to streamline its organizational structure, Khanh said. 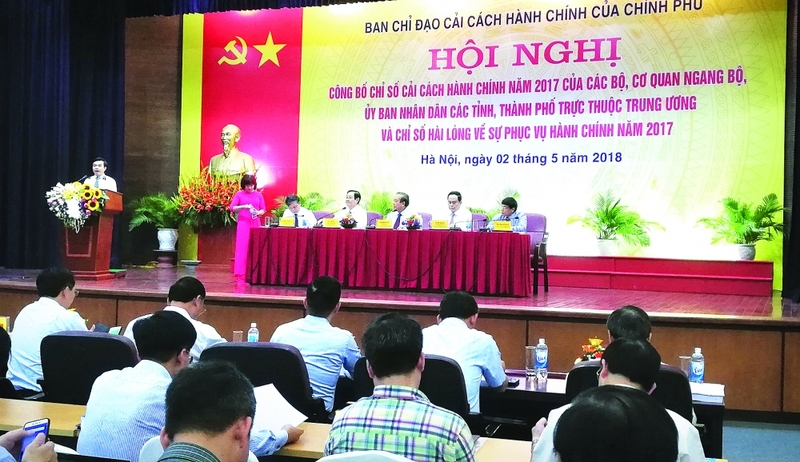 Khanh proposed that the government ask the Ministry of Finance to accelerate verification of state capital allocation to measure administrative reform by ministries, sectors and localities. Starting in 2019, the Ministry of Home Affairs needs to approve a project for identifying PAR index rankings of ministries, ministerial-level agencies and people’s committees of centrally-governed cities and implement the project properly to ensure objectivity in PAR index ratings, he said. The Ministry of Home Affairs also issued the satisfaction index of public administration services (SIPAS). According to this assessment, the satisfaction index of the whole country reached nearly 78 percent in terms of access to services, approximately 85 percent regarding procedures, 82 percent concerning public servants, and 81 percent regarding administrative services. Deputy Prime Minister Truong Hoa Binh said the SIPAS index is an important instrument to measure the quality of public service delivery and the performance of state management agencies.